Business or leisure? It’s always either one or the other. 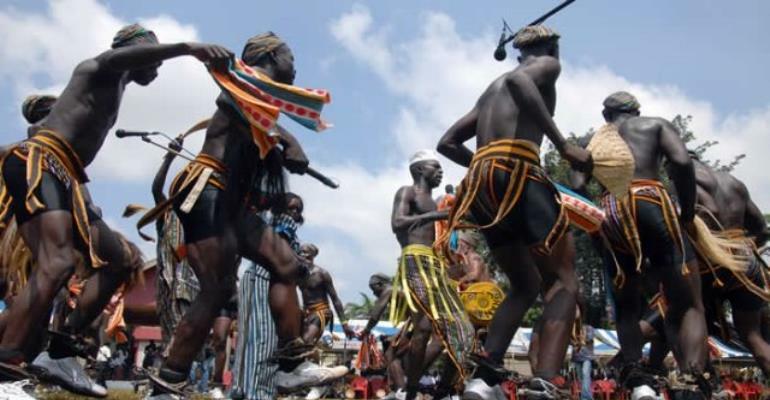 This has for a long time been the most popular types of tourism known to many in Ghana. The effect of this is so much felt that some even think that tourism is all about just leisure. Travelling away from home to visit tourist sites while not working is deemed as the only way when it comes to tourism. In Ghana, tourism is even limited when it comes to the types or forms. What else can be done? What other options do we have and why are we not exploring them as other countries are. Jumia Travel takes a close look at other forms of tourism that we can explore in Ghana and Africa. One of the oldest forms of tourism there is. Although we often don’t like to think of religion as a business, religious tourism is very important today because it comes along with several benefits. Almost all forms of religions are explored with religious tourism and many tourists travel to various countries to experience how that particular country practices a particular religion. The differences may be minimal but the principles and general framework remain the same. If you are still wondering what this is all about, think of the many Muslim pilgrims who travel to Mecca every year for Hajj. What about the many Christians who visit the Vatican. There are some who visit Jerusalem to experience the many festivals mentioned in the bible. Religious tourism is also called faith-based tourism and involves the travel and experience of a particular religion to bring many other economic benefits. These days, Israel has become a very popular tourist destination because many Christians are going back to the ‘’promised land’’. If you ever get tired of the popular tourist sites, try touring the world for religious purposes. Traveling for health and wellness is one of the most important tourist patterns of economic returns generated by the tourism industry, tourist destinations and the health sector. This is a very beneficial type of tourism which may involve healthy people travelling to other cities to maintain their physical and psychological health through receiving certain services in specialized institutions or travelling to receive medical treatment in specialized institutions jointly with tourism programs. Often regarded as very expensive and not accessible for many, health tourism comes with its many benefits. Low costs, high-quality services and opportunities for travel are just a few of the many other benefits of health tourism. If you wanted another reason to travel, there you go. You may be wondering what sports tourism is by now. It involves travelling from one region, country, state, to another in order to watch a sports competition or game. The ATF tennis masters, the FIFA world cup, the IWF world championships and many other tournaments get millions of people travelling all around the globe. The economic benefits are just overwhelming. Although this has not been a very popular type of tourism, the number of people who travel around for sports tourism has increased over the past few years. In Africa, the ability to host recent global tournaments has increased international travels into Africa by more than 70%. Notable was the FIFA world cup which was held in South Africa in 2010 and the Fifa Youth tournament in Egypt, 2009. Tournaments in other countries also make it possible for people who may not have had the opportunity of leaving their domestic countries to visit other countries and explore cultures. One of the fastest growing types of tourism at the moment. The academic season often ends in May/June and opens the way for the peak season of tourism. Educational tourism involves the travel from one country or continent to the other for the purposes of acquiring knowledge, job development and career enhancement. The benefits of educational tourism go way beyond n what many people imagine because apart from travelling to explore the many opportunities in other countries, educational tourists get destination Choices, significant facility differences better international exchange and cooperation ability and better education experience.Summer work and travel packages for universities can generally be classified as educational tourism as well. When a family travels to visit other relatives and friends or go around seeing tourist sites in different destinations with family and friends, we can term that family tourism. Often we have family and friends in other cities, towns and countries that we may not have seen in a very long while. Family is life and life is family. This makes very important to spend time with them when we have the chance. Traveling to various destinations with the intentions of visiting family and friends to enhance personal relationship is what family tourism is about. Also, travelling a loan for a vacation to visit amazing tourist destinations can be boring. Going along with family will definitely make it worthwhile. Ever heard of heritage tourism? This is another name for cultural tourism. Many people are curious to know about foreign lands and their cultures. To see different cultures and experience rich tradition and heritage is one of the most important factors which attracts tourists to a destination. People want to explore the way of life of a group of people they may have heard or read about. To dress like them, dance to their music and see beautiful architecture. They may want to experience festivals and durbars to perform rituals and witness the various activities. To eat the local food and drink local beverages. To be part of another culture is just beautiful and it often leaves us with great memories.